SlotDice is a high-quality dice game with outstanding graphics and easy to understand rules. This is not your typical slot and in fact, it’s not really a slot at all. Dice Lab was inspired to create SlotDice by the classic Yahtzee dice game, invented way back in the 1940s! 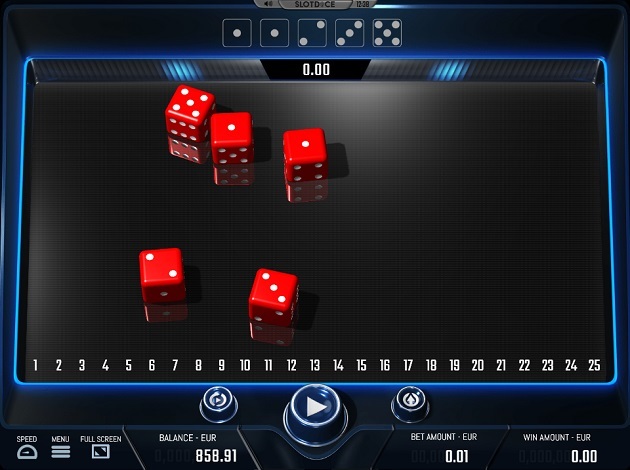 SlotDice is a modern version of the classic game with new features and original gameplay invented by Dice Lab themselves. They’ve included an interesting twist in the game to include jackpot games and unique bonus features. The game is very simple to play and easy to understand. All you have to do is roll a set of dice and watch what happens according to the combination you get! The goal is to acquire specific scores on the dice to win prizes or enter a bonus round. SlotDice is a medium volatility game with an excellent RTP rate of 96.3%. SlotDice will immediately appeal to many players thanks to the very varied bet range which allows you to roll the dice from just € 0.01 per game! The maximum bet amount in SlotDice is € 100 per game. There are five reels and six columns to throw your dice on with 25 levels you can reach in the main game and 10 levels in the bonus games. SlotDice comes with four bonus games, each with different goals and prizes to be won. If you obtain five consecutive numbers on your dice (for example, one, two, three, and so on), you enter the Crazy Straight bonus stage. Now you’ll have just two dice to roll and with these two, you have to obtain a score higher than the one shown on the screen above the reels. 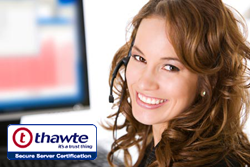 With each level, the mandatory score required to progress to the next level will be higher. If you get three of the same kind as well as two of the same kind on your dice, you’re off to the Hero Call bonus stage. The challenge starts with just one dice and your score must be higher than one to move on to the next level. With each level, you get another dice to roll and the score must be higher than your previous one to make it to the next level. You need four of the same kind to get to the Lucky Four bonus stage. This challenge starts with 10 dice and you need a minimum score of four to reach the next level. With each level, the game gets trickier and trickier as you lose one die with each round. You need to get a score of four each time to move on to the next level. You need five of a kind to trigger the Golden One bonus stage. You have 10 chances in this game, starting with 5 dice. Each time the die shows one it will be eliminated and you go to the next level. The goal is to eliminate all five dice with the least number of throws to win the bigger prizes. There are many different prizes to be won and the goal is to get to the bonus games to win bigger and bigger prizes as you climb up the levels. Payouts vary for the main game and the bonus games and according to the level. In the main game, prizes are won for combinations of three of a kind only. For each level, you get a bet multiplier of 0.75x your bet which is then multiplied by the level of the bonus game. In the Crazy Straight bonus game, you start by scoring at least higher than two, which earns you a bet multiplier of 0.50x. Reach the fifth level increases your prize to 2.5x your bet, whilst the top level earns you a massive 1,000x your bet if you score higher than 11. In the Hero Call bonus, the lowest prize starts at 3x your bet if you score higher than one. In the middle there is the fifth level, in which you have to score higher than your previous roll in the previous level to win 10x your bet. If you make it to the 10th level, you get a huge 1,500x your bet if you score higher than your previous level! Prizes get bigger and bigger with each bonus round. Next is the Lucky Four bonus, which starts with a good prize of 5x your bet in the first level. In the middle (fifth) level, the prize goes up to 21x your bet whilst the biggest prize is 2,000x your bet if you manage to reach the 10th and final level. The Golden One bonus game is, of course, where the gold lies. In this round, you get bigger prizes the faster the round ends. If you get a score of one in the first level, you win the top prize of 5,000x your stake. If it takes you all the way to level 10 to get the required score, you still get a good 50x bet multiplier! SlotDice is one of the most impeccably-designed games out there, with 3D graphics and a life-look to the settings. The dice are 3D and they reflect on the black screen of the game, whilst the spin button goes down and up each time you press it. The sound is a catchy techno-style soundtrack that keeps the game very exciting. The menu button will take you to all the information you need to know to play and understand the game. In between games, you can adjust your bet easily through the game panel and there is also an Auto Play option available here. Dice Lab has managed to create a virtual game with a real-life feeling to it here and you can tell it’s a very high-quality production. The game is simple to understand and there are four amazing bonus features with huge prizes you can win. Roll the dice and cross your fingers for a good combination on SlotDice! Dice Lab is also clearly aiming to reach a wide audience of players with this very first release thanks to the low wager feature which allows players to play from only € 0.01 per game. With their first game being unlike any others available on the market, players looking for something new and fresh should definitely keep an eye out on Dice Lab.